Hot Days Call For Sweet Tea!! It is going to be a hot, hot day today. As a matter of fact this summer has been very hot and very dry. We are having a terrible drought. One way to quench your thirst is to fix up a big pitcher of sweet tea. It is so easy to do and pretty quick. Now I don’t make anymore quick trips to Mickey D’s for their sweet tea! I make my own! First thing is to boil 3 cups of water. I know that looks more like 2 cups but do as I say, not as I do. Does that make sense? Put two family size tea bags in the boiling water and boil for one more minute. 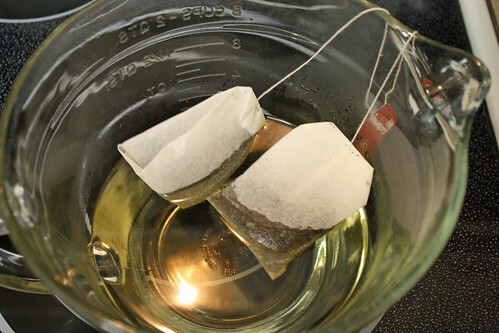 Leave the tea bags in the water for 10 minutes. After ten minutes, take out the tea bags and throw them away. Or you could sprinkle some of the tea leaves on your plants outside. They say it is good for your plants. 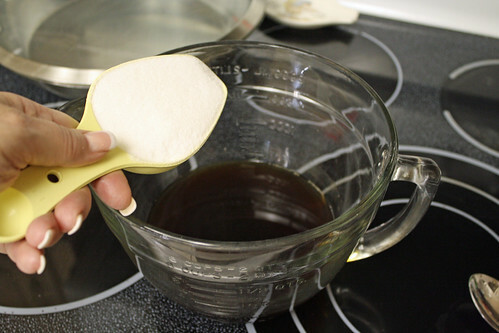 Add 1/2 cup of sugar to the hot tea. Stir until the sugar has dissolved. 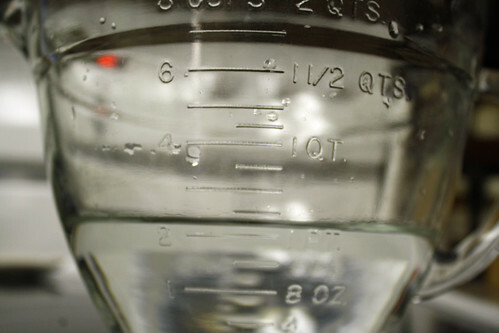 Pour this mixture into a heat-proof pitcher or container. Be careful because if you pour this into a regular glass pitcher it will break. I use a large plastic container that fits perfectly in the door of my refrigerator. 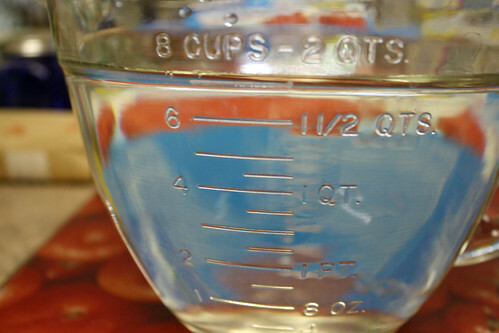 Add 7 cups of cold water to the hot sweet tea mixture and stir. 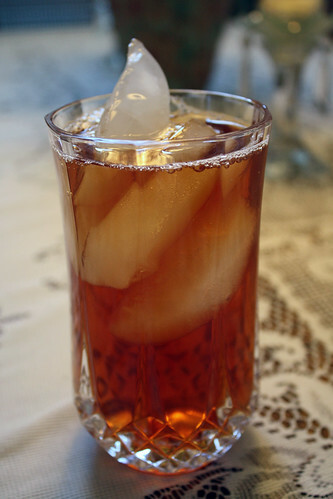 Grab yourself a glass and put some ice cubes in it and fill it up with some sweet tea. Sit down, put your feet up, turn up the AC and enjoy your sweet tea! Posted on July 20, 2012 by cookingwithpizazzPosted in BeverageTagged Beverages, Food, Recipes.